This multi-purpose, all natural ointment helps soothe skin and enhance the natural process of skin returning to a healthy state after being distressed. 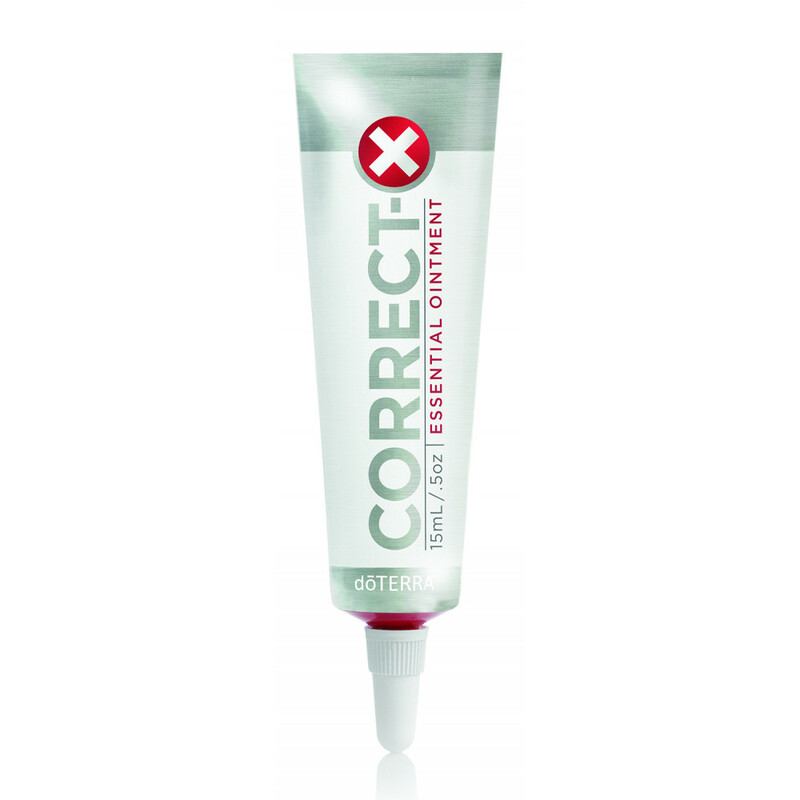 Correct-X provides a moisture barrier that helps protect against additional damage while simultaneously soothing and hydrating the skin. This petroleum-free, preservative-free ointment absorbs quickly and is gentle and non-irritating, making it ideal for sensitive skin. Frankincense, Helichrysm, Melaleuca, Cedarwood, and Lavender—all Certified Pure Therapeutic Grade essential oils known to help assist in soothing skin irritations—form the base of dōTERRA Correct-X.